Spring is finally here, even if it doesn't really feel like it, and with a household of five, soon to be six, it can be challenging to cook a meal that we all can enjoy and help with in the kitchen. Over March Break, I was given a challenge from the awesome people over at Sabra Canada to create one of their meals from their website that would be easy, not just for myself, but for my entire family to make together. We decided to make the Mediterranean Nachos with Sabra Hummus and I used the recipe from the Sabra website, with a few tweaks. This was such a simple recipe that I decided to add in some of our favorites as well like a little homemade guacamole, sour cream and refried black beans. I also changed the red pepper Humus to the Supremely Spicy Hummus which was delicious and gave our nachos a bit of a kick. A warning if you do not like things very, very spicy the Supremely Spicy Hummus is Supremely Spicy! Even my Husband thought it was quite spicy and he is pretty hard to impress! Since this was a meal that even my kids could put together themselves, instead of the spicy hummus they used the roasted garlic hummus, which they loved. It wasn't spicy like the hubby's and mine were, but it was perfect enough for them to enjoy. Sabra Hummus is delicious in a recipe or just for dipping itself. Along with enjoying our hummus in nachos, we've been eating it with lots of veggies and pita chips. I love that it's a bit of a change up from the dips we usually have since I usually make our dips from scratch. Having Sabra Hummus in the house certainly gave me a bit of a break and allowed me more time to spend quality time with the family. We enjoyed it and would recommend buying this brand. Be sure to check out all the other fun and creative recipes you can make this Spring with your little ones in the recipe section on Sabra Canada's website. Sabra Canada wants one of you Just Us Girls Canadian readers to enjoy their delicious hummus as well. 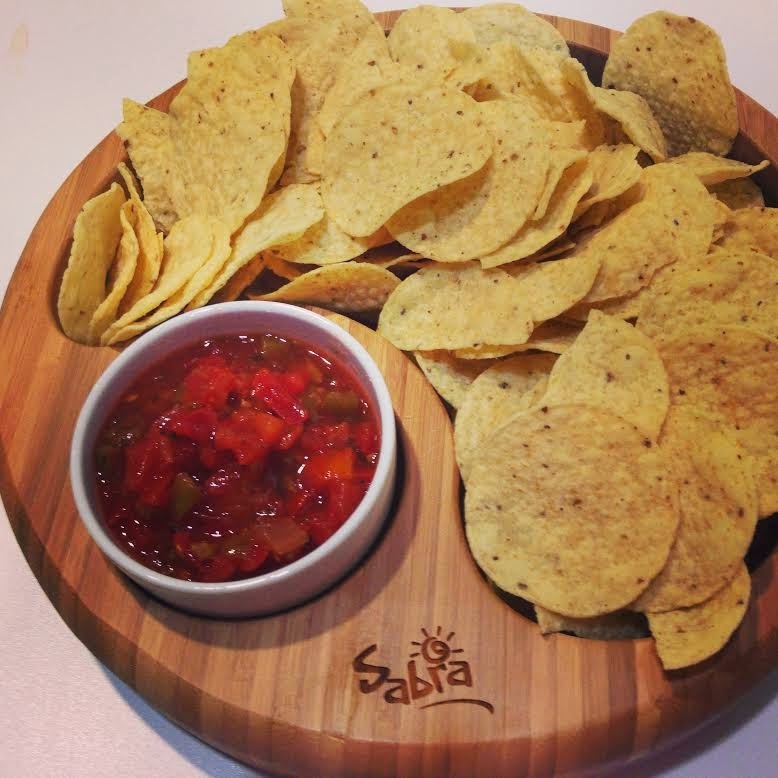 One lucky Canadian reader will win Sabra Coupons and Sabra serving tray, valued at $50! Be sure to enter below. Disclosure: All opinions are my own. 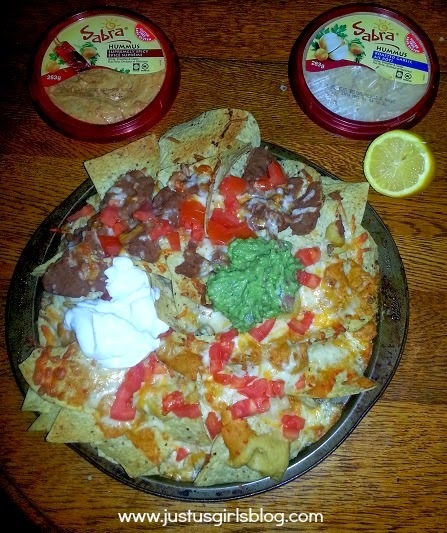 I received Sabra Canada coupons at no cost for the purpose of this review. No other compensation was received.